Lazy day and crazy shopping. 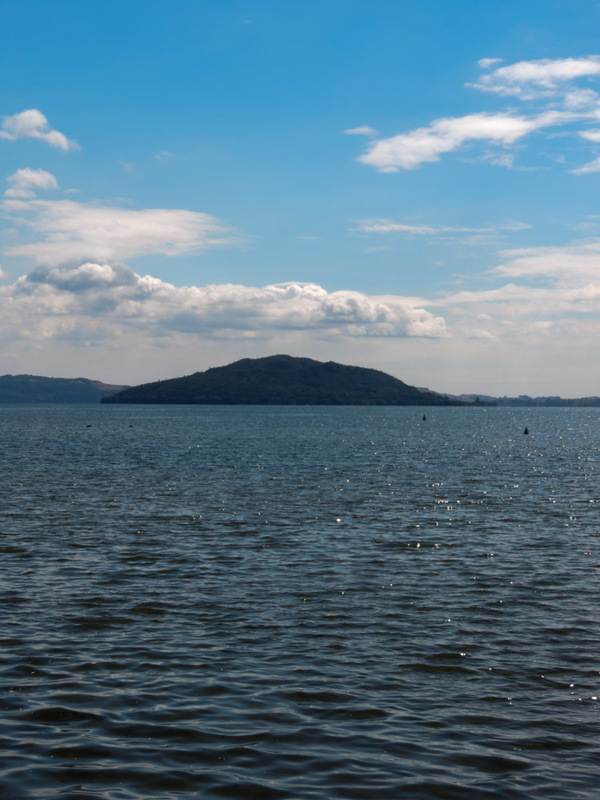 It was a wise idea to stop in Rotorua for two nights, this morning I woke up and my legs felt already much better. I guess I have had enough time to forget how hard it was starting the other time round, and then I probably had much more “first timer” excitement. I caught up with friends and family before they went to bed on the other side, then I proceeded to do the first of the major rejigging of the panniers for this trip. It turns out that when you camp, your storage needs change very substantially, and things you were able to keep at the bottom of bags are now to be put in easy reach. That did not take long and by 9:00 I was off to do a bit of exploring. I read a bit last night and discovered that there would be activities in this area to occupy a family for a fortnight holiday. 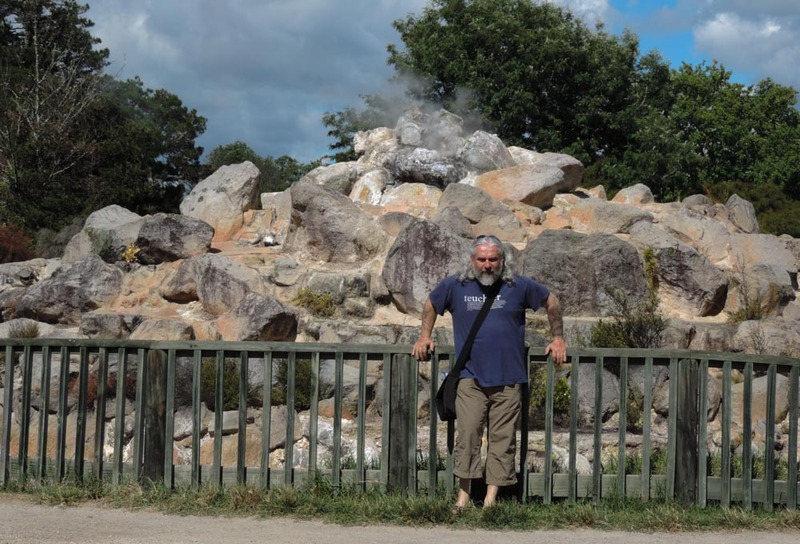 I had however no appetite for that, preferring a stroll in the thermal park to helicopter rides or volcano explorations. 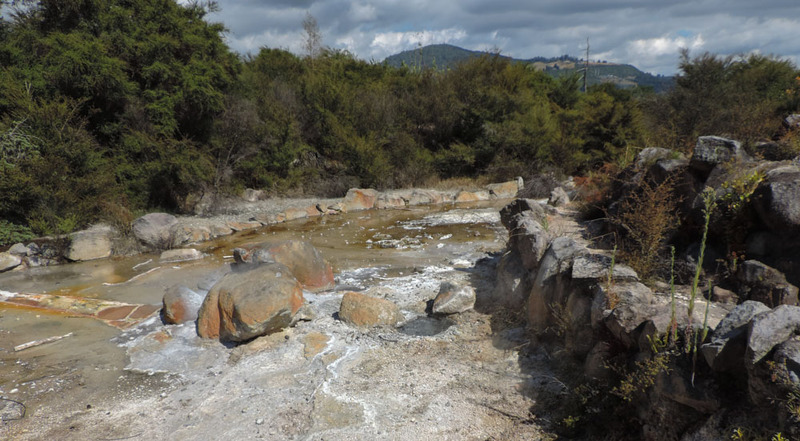 I set therefore off for the Kuirau Park where there are several hot pools and bubbling mud lakes. It was all very impressive and reminiscent, in a grander way, of things I had already seen both in Modena and in the south of Italy. The concept of the earth producing heat and spitting vapour and gas must have been quite astonishing to civilisations of old. It is no coincidence, in my opinion that both judaic and non judaic mythologies spare a place in their lore for a place below, a place with fire and pain, from which sulphuric fumes are produced. Smoking rockery, wouldn’t you just like one of these in your garden? In the middle of the park there was a hot paddling pool and I resisted the temptation of stopping and dipping my feet out of fear of relaxing too much and falling asleep. I continued instead going around and taking pictures and short videos. The disappointing thing is that the photographs don’t really convey the awesomeness of the sight and the videos did not come out all that well. Never mind, you’ll just have to come and see for yourself. Mokoira island, fauna sanctuary. Apparently there was a panic last year as a rat swum there. It is a predator free park for not one but two types of kiwi bird. After the park I continued walking to the lake shore where I had a coffee and some chips. Strange combination yes, but it was almost lunch time and I thought of catching two birds with one stone. Talking of birds, I made the incredibly stupid mistake to throw a chip to a seagull and in a blink of an eye I was surrounded by birds, worse than in the Hitchcock movie. I was sitting in the shade and, shock horror, it was getting cold, so I decided to wonder back and go buy a bungee cord that I need to complete the panniers realignment. Unfortunately on the way to the hardware store there was a branch of Katmandu, a local outdoor shop that I have to admit I have become a little addicted to. Despite I remember very well all the pain I got for packing the original folding stool, and indeed the fact that I was made to drop it pretty early in the last part of the trip, I have to confess that my life has not been the same since. Now that I’m camping more consistently, I think it is time to give it another try to the idea, especially as this new one is not just light, it’s ultralight. I also looked at an inflatable armchair but it weighted like four ultralight stools so I did not get it. I finally got to the last few pages of the book I started in Biarritz (Kerouak’s On the road), I will finish it tonight. I realise that three months for a book is rather a long time but conspiring agains it there were all those days spent in Spain and Marocco with Internet on tap and the Christmas holidays with all sorts of other things to do all the time. The reason I mention it is that I think I will leave it somewhere when I finish it with a note for the next owners to let me know where they are going to leave it when they are finished with it. 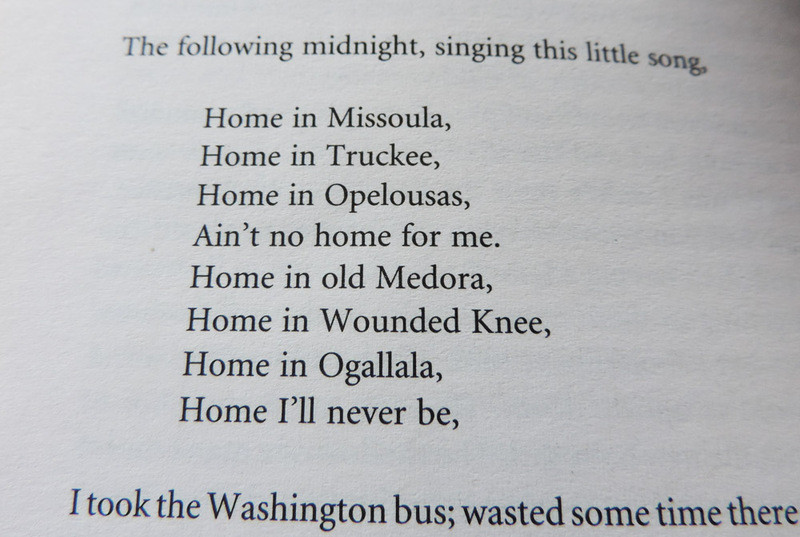 I think it would be fun to follow over time the meanderings of the book from owner to owner, from country to country. Home is where the person you love is. In one of the pages I also found the little song below and I stopped and stared at it for a while for it encapsulates a little bit how I feel about what I’m doing when I don’t feel so good about it. Being alone is tough, being alone after having had a person in your life that made you feel together even when the two of you were at opposite ends of the world sometimes is truly unbearable. Hmm. 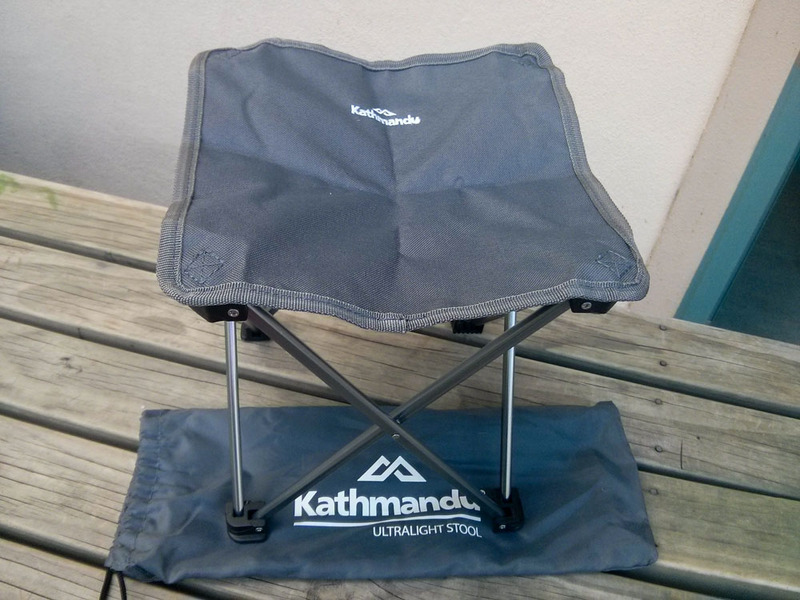 Do Kathmandu do a loyalty card? There are branches everywhere… I’d also recommend Bivouac. And Outside Sports… have you considered one of those little trailers? Good idea to ditch the Kerouac too (sooner, rather than later). I just can’t get on with him and I bet Tarn never liked him. I’m prepared to admit that, in this case, he has a point. Thanks Shirley, I think you’re right, Tarn probably did not like him and, coming to think about it might not have liked my “On the road” thing either. 3 I am in a campsite tonight, in Taupo, and had I not had the mallet I’m not sure I would have got the pegs in. I have not used once the stove and the set of pans I’ve been carrying around, now, four continents. What do you think? We have been reading with interest where you have got to since you left our Blueberry farm. I have been reading your adventures to the picking staff they sad they missed meeting you. Glad you reached Anne and Harrys we thought your timing was very good considering the hills. Hope your legs are better. It was a privilege meeting you, your help not only in hosting me but in getting me in touch with Henry and Anne made easier the normally traumatic getting use to a new country. Legs were completely done by the time I got to Rotorua, but a 36 hours break took care of that. I am in Taupo tonight and the 80 Km today were a breeze compared to the ones up to Mamaku. Se fossi andato al cinema a vedere Paddington non ti saresti mai arrischiato a lasciare un boccone ai piccioni!!! Volevo dire ai gabbiani…era Paddy alle prese coi piccioni.